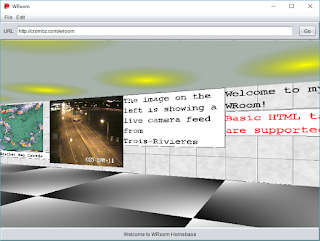 I've been quiet for a while as this is summer time and I have also been working on a new idea: a 3D web browser. WRoom was born, late at night, on a cheap Windows 10 tablet. It's a big experiment, but it's fun to learn new stuff while making it. 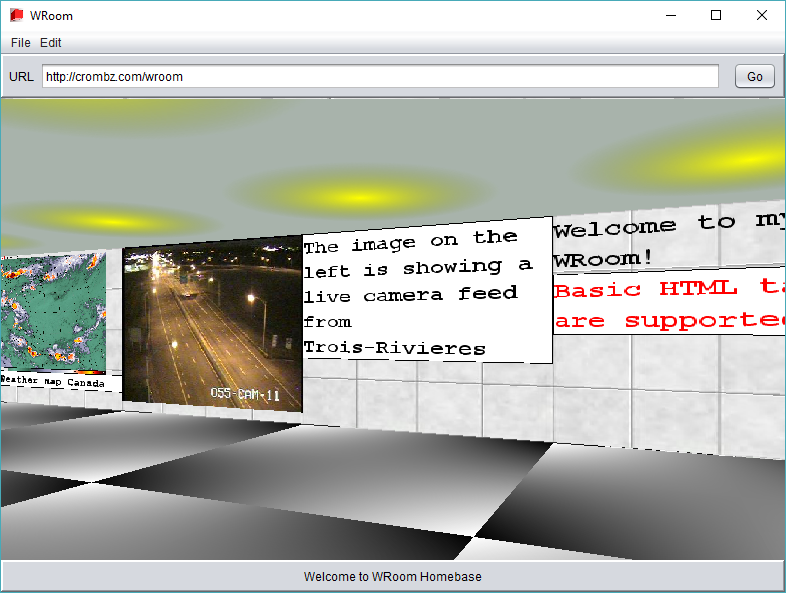 Currently, only binaries are available at http://crombz.com/wroom for testing the concept online. You can test WRoom on your computer by downloading the WebRoom.jar file. Java 8 Runtime must be installed as you guessed it, it's a Java+JavaFX application. Everything has been developped with Netbeans under Windows 10. Ubuntu is able to run WRooms, but video playback do not seems to work, even with the JRE from Oracle... This is a JavaFX issue and my be resolved in a near future.